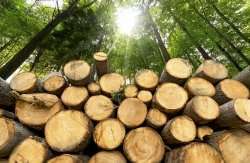 Currently, pulping of wood to isolate cellulose fibres for paper production uses energy-intensive technologies developed more than a century ago that require fossil chemicals. There is an overall consensus towards greener processes that require less energy, are more sustainable but at the same time retain the efficiency of high quality pulp production. The pulp and paper industry can make a major contribution towards a resource-efficient world, supporting global efforts towards a low-carbon bioeconomy. Partners of the EU-funded PROVIDES project developed an innovative technology for wood and agro-based lignocellulose raw materials. "Our aim was to achieve 40 percent energy reduction and 80 percent CO2 emission reduction in the pulp and papermaking industry,″ explains project coordinator Annita Westenbroek. The PROVIDES technology is based on deep eutectic solvents (DESs), a new class of natural solvents. The individual DES components have naturally high melting points above 100° C but upon mixing they form low volatility liquids at room temperature. Discovered 15 years ago, DESs have already been applied in electrochemical applications. "Only five years ago it was discovered that some natural DESs show very high lignin solubility, indicating they could be used as novel pulping solvents. In our project we used DESs operating at low temperature and atmospheric pressure to isolate lignin from wood, so that we can obtain pure high-quality cellulose fibres for paper making,″ continues Westenbroek. The PROVIDES project developed more than one hundred DESs. A few of them demonstrated the unique ability to dissolve and therefore mildly fractionate wood. The generated cellulose fibres were straight and well-shaped, giving rise to paper with good internal bond and tensile strength. The lignin and hemicellulose side streams can be forwarded for further valorisation. Another significant achievement of the project was the development of the first hydrophobic DESs which significantly enhanced the isolation of components from aqueous pulp. "DES are nature-based, renewable, biodegradable and cost-effective solvents that have never been utilised in the pulp and paper industry or for any other biomass fractionation before,″ says Westenbroek. Undoubtedly, the discovery of DES has the potential to revolutionise the pulping process, opening the way to produce pulp with minimal energy, emissions and residues. Importantly, implementation of this radical technology in the paper industry is expected to increase sustainability through energy-, cost- and resource-effectiveness. Furthermore, DES could also be used to recover cellulose from waste and dissolve inks and contaminants in paper for recycling. However, there are many technological gaps that need to be filled, to bring this laboratory technology towards the next stage. Ongoing activities by the PROVIDES consortium aim to optimise the delignification process and improve the recovery and reuse of DES. Currently, researchers are preparing for a pilot phase study to test DES at a higher scale and validate environmental effects and climate benefit. The environmental impact of the PROVIDES results extend beyond the paper industry, since pure lignin can replace fossil-based aromatics in the chemical sector. Overall, the PROVIDES approach aims to outperform traditional pulping processes by producing highest quality products at lowest energy consumption and cost. The ultimate goal, Westenbroek concludes, is to "commercially implement the DES technological innovation by 2030 to support the climate goals of the pulp and paper industry."